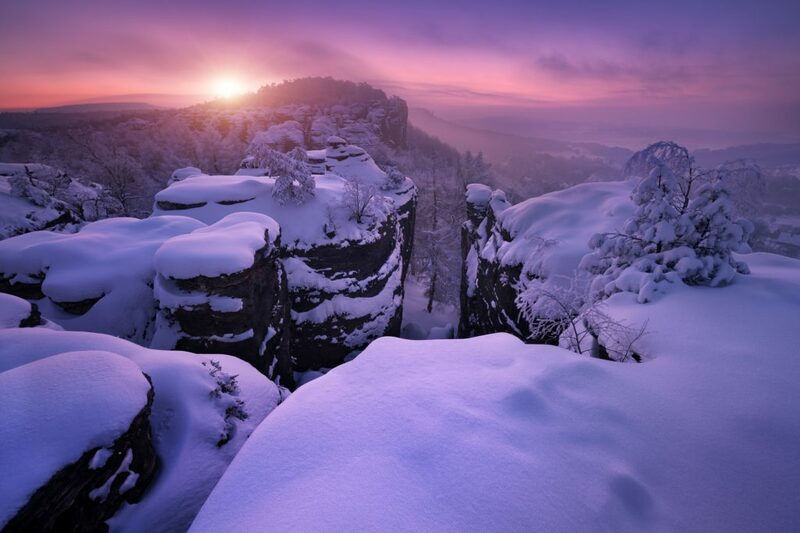 Bohemian Switzerland is a National Park located only two hours away from Prague, the capital of Czech Republic. Locals sometimes call it the Land of Narnia since some of the key scenes from The Chronicles of Narnia movie were filmed there. Let’s peek behind the scenes and discover the places that appeared in the movie. Remember the scene where Lucy Pevensie hides in the wardrobe, then suddenly appears in a magical winter wonderland called Narnia and she meets a friendly faun Mr. Tumnus who invites her for tea? 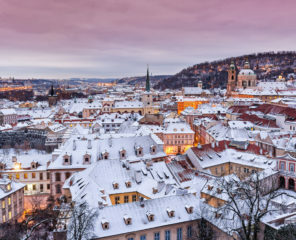 This scene was filmed in the plateau called Tisa Rocks, an impressive sandstone formation overlooking a picturesque Czech village. Another scene was filmed on the Pravcicka Gate (Pravčická brána). Our heroes, Peter, Susan, and Lucy led by the beavers walk on it while escaping the wrath of the White Witch and her wolves. They stop to look at the Table Mountain towering above the frozen river where Aslan should be. The mountain was created with the magic of CGI effects but The Pravcicka Gate they walk on is a real place and a popular tourist destination. 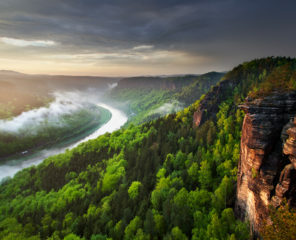 For the last filming location, we’ll cross the German border where the Bohemian Switzerland park continues as Saxon Switzerland National Park. 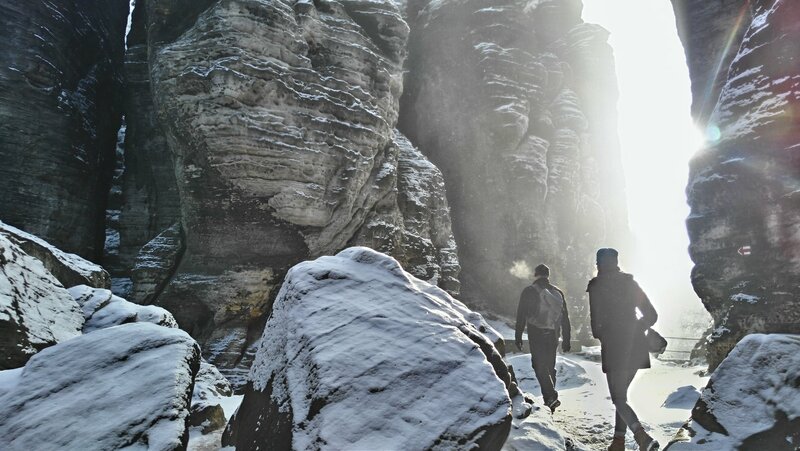 Our heroes continued their escape through a sandstone rock labyrinth, which is a rock formation close to the Bastei Bridge. 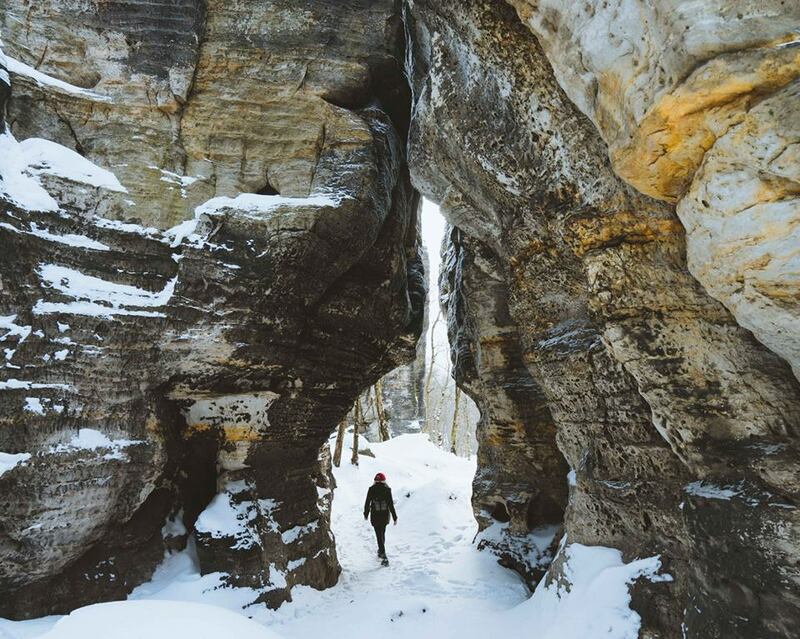 The Chronicles of Narnia was filmed in these locations during the winter time when the rocks are covered by heaps of crispy white snow giving the natural wonders an otherworldly vibe. 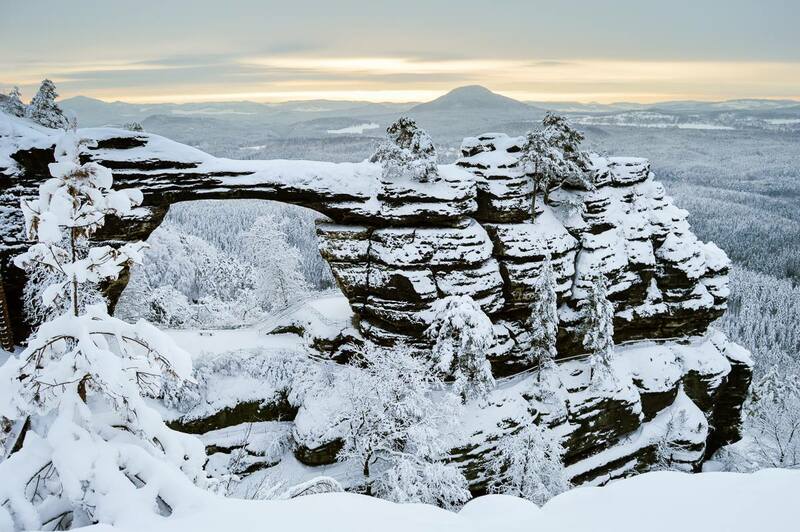 There are fewer tourists in Bohemian Switzerland during the winter, so if you want to avoid the crowds (that are usually there in the summer) consider a day trip from Prague during your winter vacation. 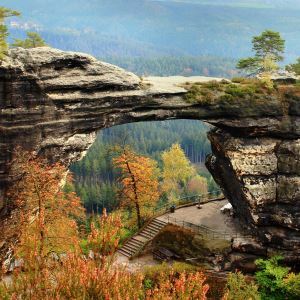 The Tisa wall is one of the top locations in Bohemian Switzerland even though it’s not as crowded with tourists as other places like the Pravcicka Gate. You can wander through the sandstone rocks, climb through the natural labyrinth and take in the magical vibes of the place as if you were transformed to the land of Narnia. The Pravcicka Gate is the biggest natural sandstone arch in Europe and one of the most iconic monuments of the Czech Republic. 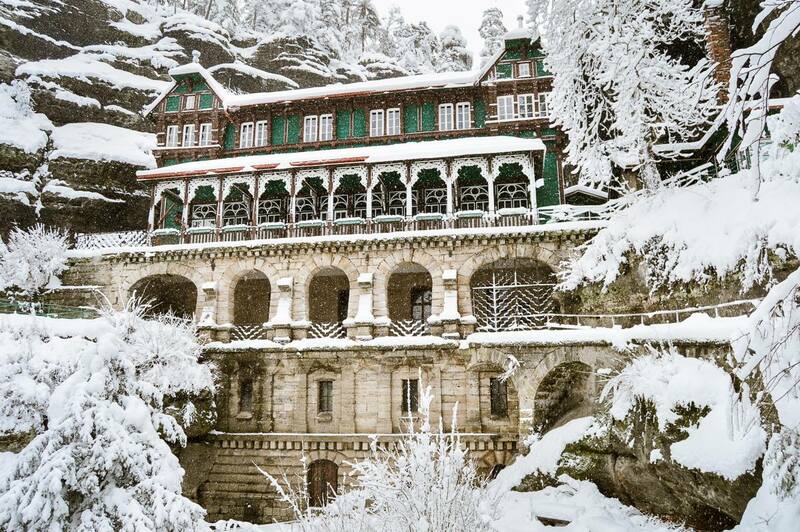 The span of the arch at the bottom is 26.5 meters and the archway opening is 16 meters leaving many tourists in awe. Next to the Pravcicka Gate is the famous Falcon Nest Hotel, where you can find a well-preserved period restaurant decorated with original paintings. 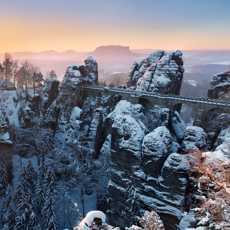 The Bastei Bridge is a rock formation towering above the river Elbe and a stone bridge leading all the way through the rocks. 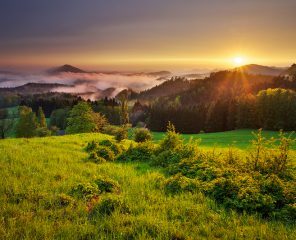 The amazing vistas inspired many well-known artists in the past and today many photographers head over there to capture breathtaking sunsets. 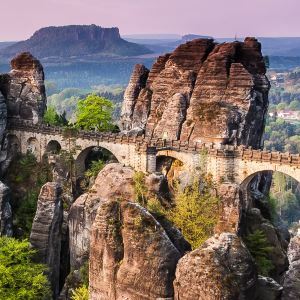 While the Bastei Bridge is located on the German side of the National Park, some parts of the rock formation can be found on the Czech side. Ready to discover all the beautiful filming locations? Let us take you there! Our local tour guides will take you to all the beautiful locations and to taste some delicious local food while making sure your experience is unforgettable. Don’t forget your cameras, so you can capture memories and show them to your friends when you get back home. 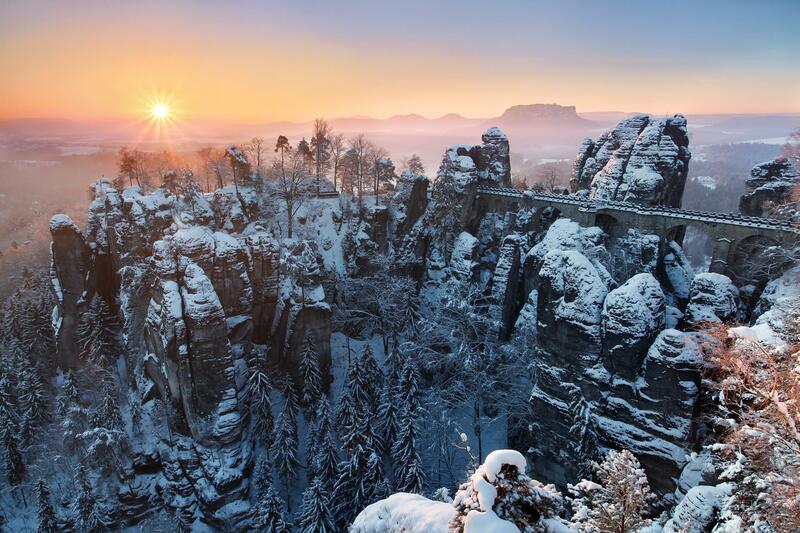 Pravcicka Gate and Bastei Winter Hike. We offer this tour only during weekends as the Pravcicka Gate is closed during the workweek in the winter season. 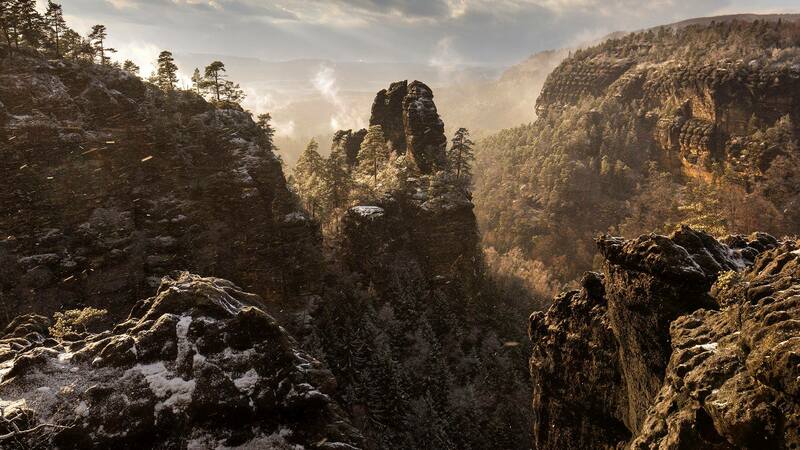 The Narnia Labyrinth and Bastei Winter Walk. This tour is available on any day of the week.